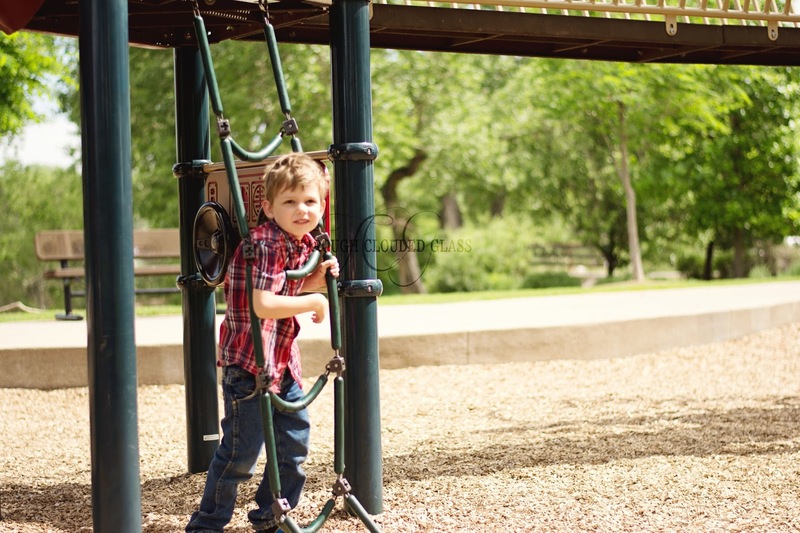 Note: I received the top in these photos for free in collaboration with PinkBlush! All opinions are my own. Every pregnancy the last couple months are full of to-do's, and I tend to get a little...tense. 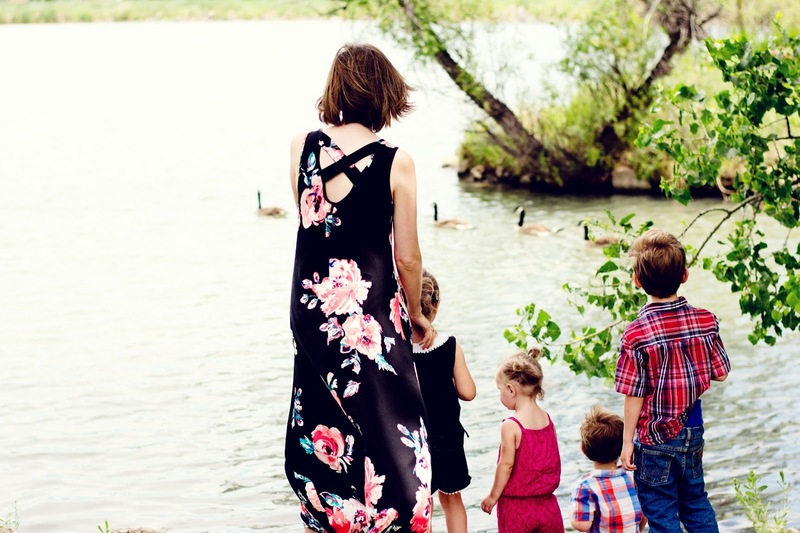 I always feel bad for my poor family, because the nesting takes over a little and I occasionally (way too frequently) break down in tears because something is not getting done when I thought it would (thanks, hormones). This time around is no different, though I have gotten a head start on the to-do list so it feels more manageable that it has in the past! I thought I'd share a few of the things that I've had on my to-do list for the last few weeks (so I've already crossed a couple off - hooray!). My goal is to get all of these (except the last one) done by 37 weeks so I don't have to stress too much at the end of this pregnancy. That gives me 3.5 weeks - I think that's doable! 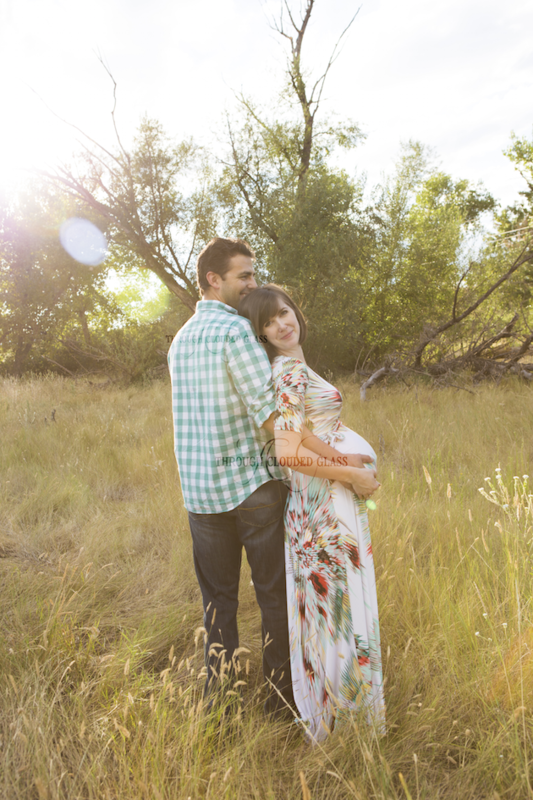 Get maternity photos taken. Check! Last weekend we ventured out into the rain (yes, rain) with my dear friend and photographer Danae. She thought we could still get some good pictures in between rain showers, and I was praying we wouldn't get soaked. I think the Lord held off the rain just for us! I'm pretty excited to see the end results! 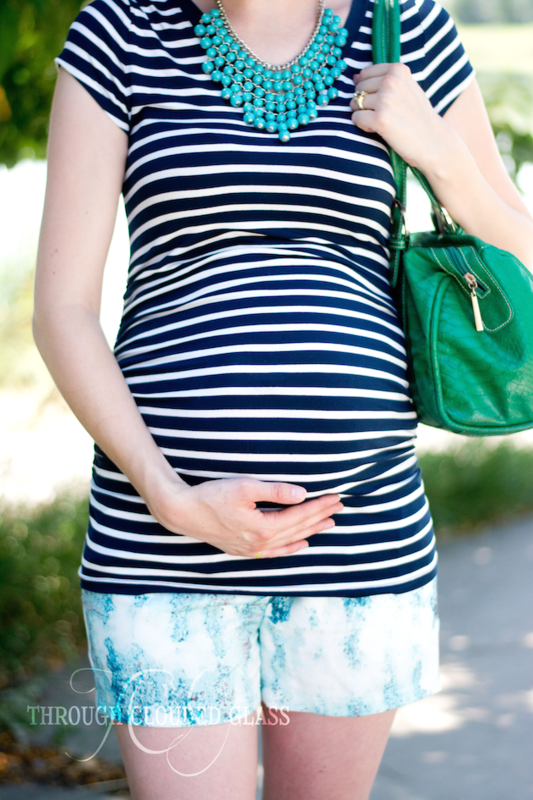 Get some new maternity wardrobe basics. Check! Up until this fall I have been mostly wearing things I already have, non-maternity clothes with a few new maternity pieces mixed in... but I have reached the point where I definitely need maternity clothes now. There isn't much left in my non-maternity wardrobe that looks right. 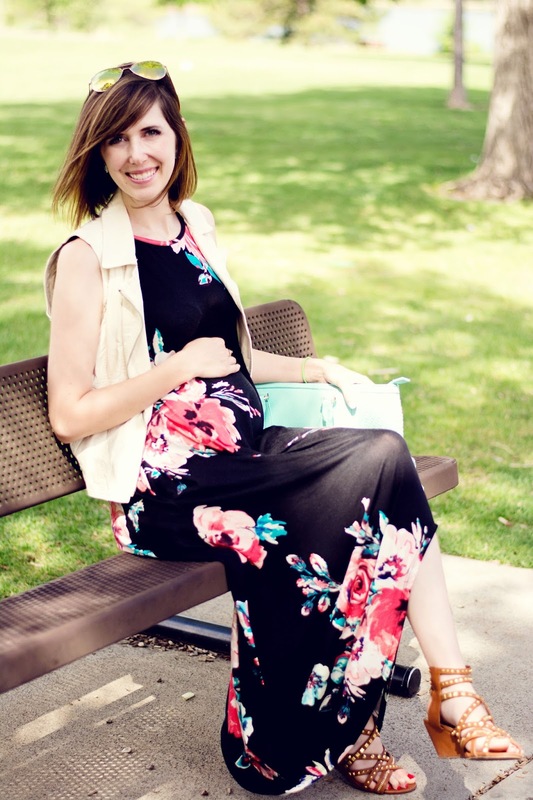 My maternity basics were especially looking a little ratty after being put through so many pregnancies over the last seven years, so I decided it was time for some new ones. 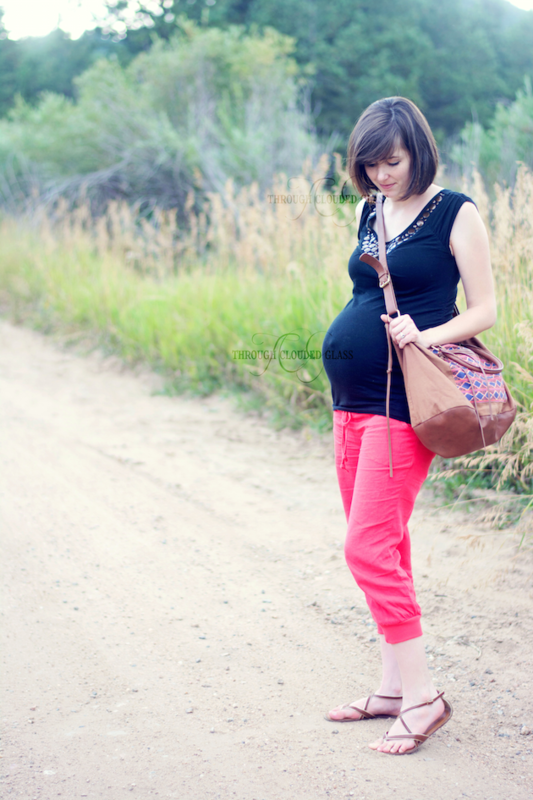 To me, maternity wardrobe basics are: a good pair of jeans, a black shirt, and a white shirt. I can do a lot with those items by adding different accessories, layers, etc! 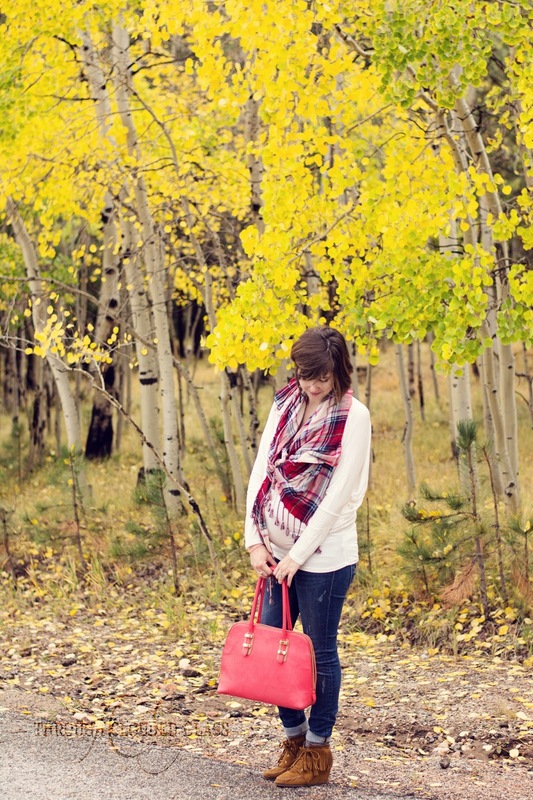 PinkBlush has been my go-to for cute maternity clothes this pregnancy, and the last basic item I checked off my list was this white long-sleeve dolman shirt from PinkBlush. I'll be getting a lot of use out of it for the next two months until baby arrives! The material of this shirt is perfect, it's lightweight without being see-through (I didn't even have to wear a layering tank underneath). I'll be able to incorporate it into a bunch of outfits with different scarves and accessories, and I love how the dolman sleeves give it a little extra style beyond just being another white shirt! On to the rest of my list! These are the things that I still need to accomplish. Clean out kitchen cupboards. Half-check. I haven't done a thorough purge of the kitchen cupboards for at least two years...maybe even three and a half (I don't know how I'm going to stay motivated to do these types of chores when I no longer have a nesting urge every couple years to push me through it). I should add a kitchen deep clean to the rotation more often, because it's sad to see the food items we waste because they were pushed into the corner of a kitchen cupboard until we forgot about them and they expired. I'm halfway through cleaning out the kitchen as I type this. Deep clean the bathrooms. To clarify, I do clean my bathrooms frequently, lest you get the wrong idea - but by deep-clean, I mean take everything out of the cabinets, wipe everything down, get rid of the half-empty toiletries we don't use, and scrub every nook and cranny. Write labels for Christmas cards/birth announcements. Sending out Christmas cards is very important to me, so I didn't want to let it slide just because I am having a baby right before the Christmas season. I want to at least get the addresses written out on mailing labels, so I can just stick them to the envelope when we actually get our Christmas cards...and I'm thinking about trying to tackle creating an address spreadsheet so I don't have to keep writing out addresses every year. We'll see what I have time for. Finish Christmas shopping. Half-check. I do not want to do Christmas shopping with a new baby - the Christmas season can get stressful enough for me as it is, so I am trying to take some pressure off myself by getting ahead of the game with shopping. We mostly got this done with our Christmas-shopping date a couple weeks ago (which you may have seen on Instagram)! I just need to buy things for Derek and pick up a few things for our extended family. I was hoping to have all presents bought and wrapped by now, but I can't find any Christmas wrapping paper anywhere! Sheesh, it's almost October, people. Pack my hospital bag. I keep alternating between thinking that I have plenty of time to get a bag packed, and having extremely uncomfortable days when I am sure the baby is going to come early. I should probably just get a bag going so I don't have to worry about it anymore. I need to buy a couple more items for our hospital stay (post coming on what things I think are worth buying for a hospital bag), and then I can check this one off the list. Finish 72 days of homeschool. To be completely realistic, I am not sure this is going to happen. I need to stay pregnant almost to 40 weeks without any off days to get this many days checked off before baby comes, so if it doesn't happen I'm not going to be stressed about it. But if we can hit 72 days, we'll only have 100 days of school to do in the second half of the year, which seems like a reasonable, not-too-stressful amount to accomplish with a new baby! There is a little part of me that likes having the due date deadline for to-do's. I wish I was internally motivated to accomplish things, but I'm just not - I do so much better with a deadline! Tell me I'm not the only one? We have officially reached the second trimester by all measures! This is my fifth baby, and I'm still confused about when the second trimester officially starts, but I know that 14 weeks is the latest. 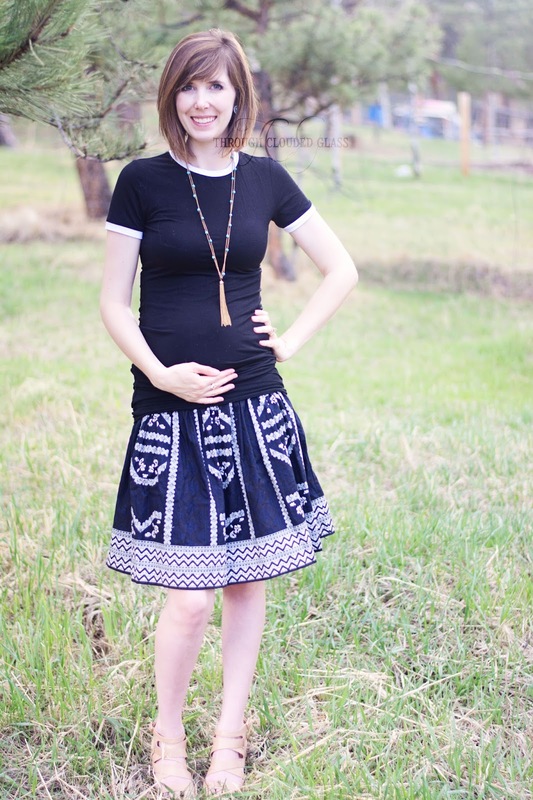 So far, the second trimester is looking good! I have been feeling so much better this last week. I still fall into bed at night, but I'm not exhausted all through the day like I have been up to this point. I'm very happy to be feeling better before we leave on vacation, because I so wanted to be able to enjoy everything without being overly tired. I've had no real cravings or aversions lately (aside from stomach aches if I eat too much spicy food), no aches and pains, less exhaustion. I'm feeling good! Baby is the size of a large lemon this week, plus legs! That's huge! It's amazing how fast babies grow in utero. According to my internet sources, baby is also starting to grow hair, and practicing lots of different facial expressions (and the thought of that is almost too cute for words). I am almost certain that I've felt the baby. At 12.5 weeks, I felt a tiny little nudge in my stomach, similar to how it would feel if I slowly and lightly pressed my finger for a second on my skin (only from the inside). I wasn't having any other sort of digestive discomfort, and it was in approximately the right spot, so I suspected it might have been baby! Then I proceeded to get worried when I didn't feel it again, but at the 14 weeks mark I felt the same sort of nudge in the same spot. I'm pretty sure it's baby, and by the next update I'll probably be able to report with more certainty! I can't wait to start feeling more tiny kicks. It's my absolute favorite part of being pregnant. And one more blessing...I mentioned a couple posts ago that I gave away my Belly Band before I found out I was pregnant, and have been missing it. I normally use it all through pregnancy to utilize my regular pants as long as possible. Well, my sweet blog friend Angi (who is having her baby in the next couple months) offered to send me hers! It didn't work for her, and she wanted to bless me with it. Thank you Angi, you were so kind to think of me, and I really am so happy to have a Belly Band again! That's all there is to report at the moment. I have another checkup next week, so I'll let you know heart rate again at that point...and then the appointment after that is when I hope to find out this tie breaker's gender! And since I've been asked several times already, yes, I plan on doing another gender reveal party. I have intentions of keeping this one low-key, but, well...we'll just see how it turns out! I tend to go a little overboard with party planning. If you want to catch up on all our previous gender reveal parties, check them out below. First Gender Reveal Party (Classic) - Get ready to travel back in time, because this one is vintage from 2010 when I was pregnant with Wyatt. BBQ Gender Reveal Party - Also pretty classic, and lots of fun finding out we were having our first girl! Ugly Sweater/Christmas Gender Reveal Party - We took full advantage of the season for Clyde's gender reveal! Ice Cream Social Gender Reveal Party - Clarice's party didn't quite go according to plan, but it turned out alright! We are in uncharted territory this week! I have never even made it to 39 weeks with any of the other kids, much less gone overdue! I am feeling good - baby dropped a few weeks ago, and now that she is not up in my ribs all the time I am pretty comfortable. No false labor. I had cramps for a couple days between 38-39 weeks, but nothing for the last week. Occasional Braxton Hicks, but barely worth mentioning. Baby seems to be very happy staying in there as long as she can get away with. She scared me by barely moving one day a couple weeks ago, so I went in for a non-stress test and biological profile. They estimated her to be about 7 lbs, 6 oz. I'm curious to see how big she really is when she comes! I do know that she is big enough that her sudden movements are actually painful, which only happened rarely, if ever, in previous pregnancies. There is just not much room left in there! 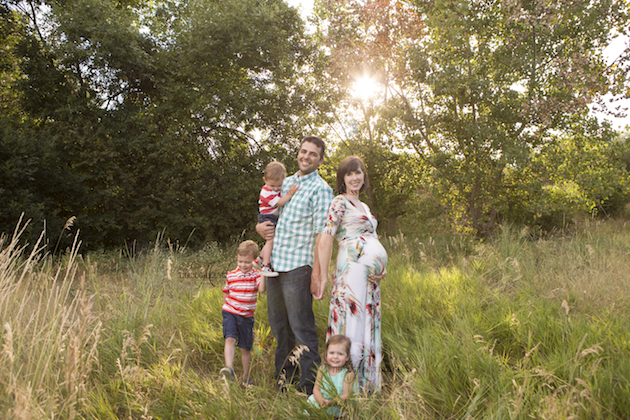 A couple weeks ago we had our maternity photo session for Baby #4! I am very pleased with the way they turned out. My dear friend is a photographer, and graciously agreed to take photos for us, and as always she did a fantastic job! 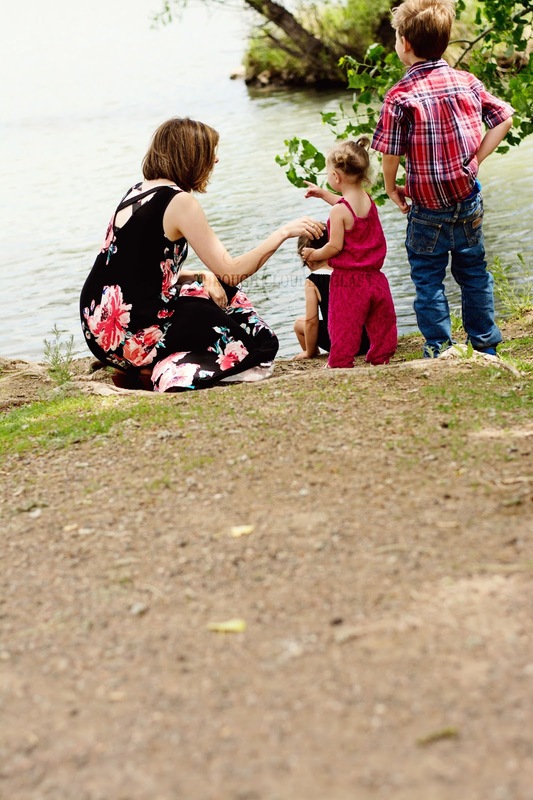 At this point, we have had a lot of maternity shoots (and family photos in general), so I wanted to take this post not only to share our photos with you all, but to share some tips on how you can help ensure that you will love your maternity photos. -What do you specifically like about these photos? -What colors/lighting trends do you see in the photos you like? -What kinds of settings are the photos taken in? -What are the people wearing in these photos? -Are there any poses you especially like? Hopefully as you gather ideas and ask yourself these questions, a common thread will appear. Then your next step is to find a photographer with a similar aesthetic. Find a photographer with a similar style. 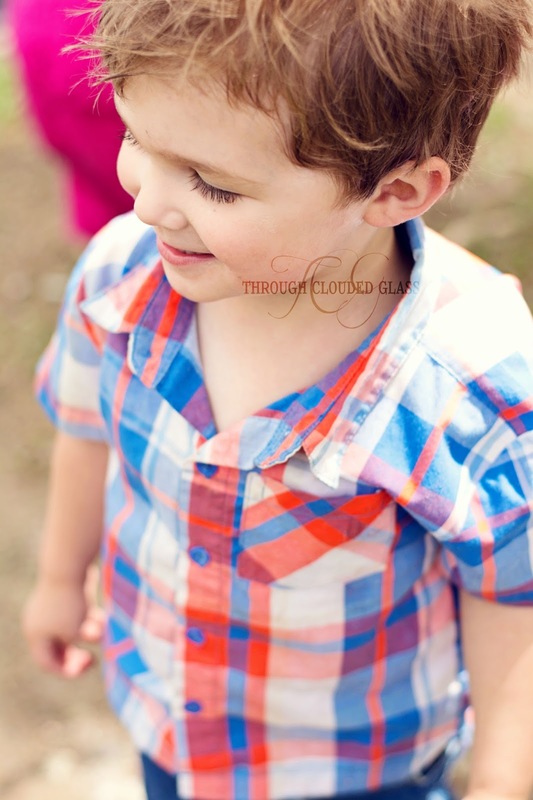 -How many images you will get from your session, and do you get printing rights? -Does this photographers style match the style of photos that I like? For me, it was important that I get a set of images in digital format that I would have a right to reprint and share online (not all photographers offer this), and it was important that the photographer's other work appealed to me and was similar to what I had in mind. Pay attention to the details when picking your photographer! 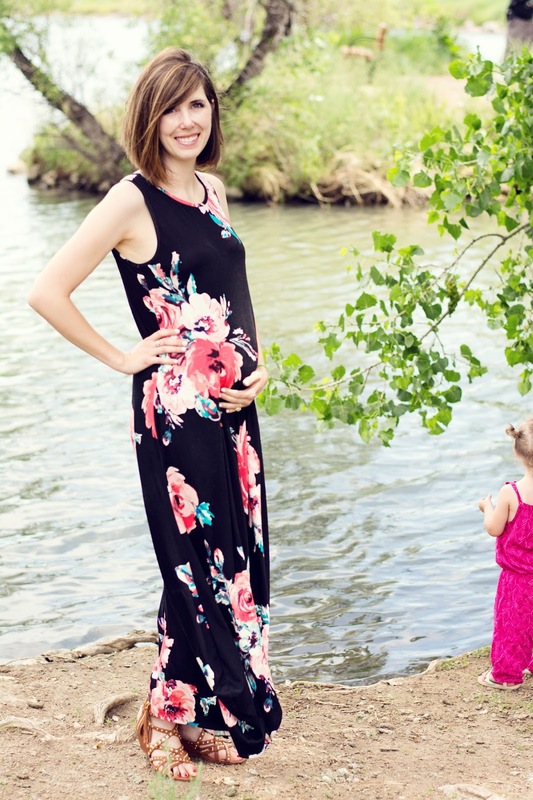 The first few times we took family photos (especially maternity photos), I was more concerned that whatever clothes I wore made me look as slender as possible. I didn't pay much attention to pattern or colors, aside from making sure we weren't clashing. But as I did a bit more research, I realized that in a lot of ways, the outfits make the photo. Choose your outfits carefully! -Choose a color scheme. Pay attention to your inspiration photos and figure out if you like bright or subdued colors, and dark or light colors. For me, I figured out that I like our photos best if at least one of us is wearing a lighter color. Then I love to incorporate blue, aqua, or mint to add some color! -Mix patterns and solids. Patterns can add interest to your photos. If you mix together more than one pattern, just make sure they are dissimilar - like the stripes with the geometric pattern in our photos. -Reflect your normal style. There is no reason to completely change what you would normally wear, just for photos. Try to find items that will photograph well and are still things that you would actually wear! 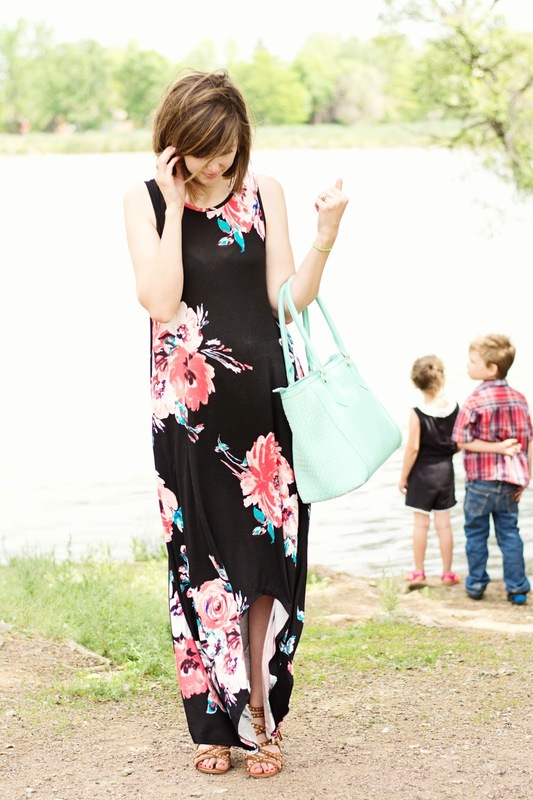 -Don't be afraid to wear something more flowy for maternity photos. 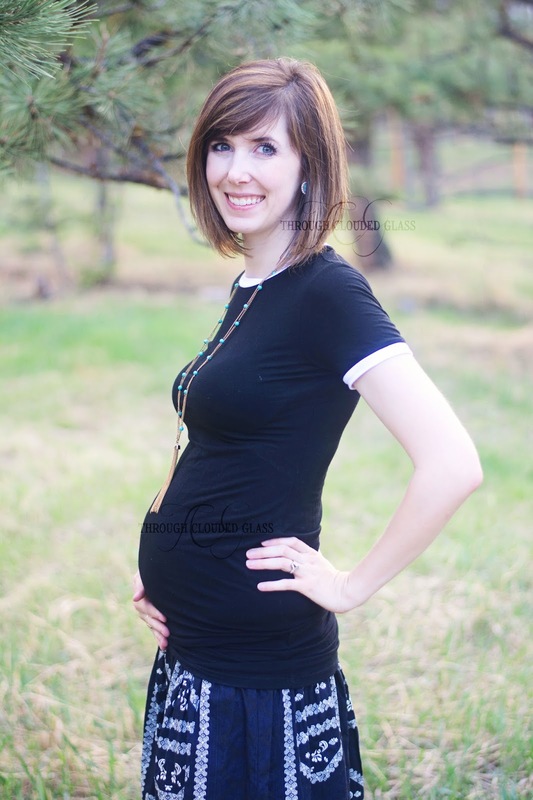 It took me a while to figure this out, but your clothes for a maternity photo don't have to naturally accentuate your bump all by themselves, because often your photographer will have you put your hands on your belly. So you can hold the fabric under your tummy to define your bump. This opens up a lot more clothing options! 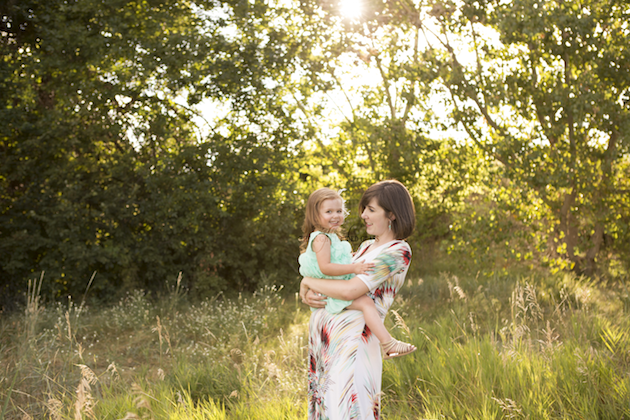 It can be hard to be yourself with a photographer that you may have never met before. Thankfully you are usually taking pictures with family members, so interact with them like you normally would. Smile, tell inside jokes, laugh, poke their stomach - whatever, just try to keep everyone loose and have fun with it! This is easy for me, because Derek and I (especially Derek) are naturally hams, but even if that's not you, do your best. Your pictures turn out better when there are some natural, candid smiles in there (this is coming straight from my dear photographer's mouth). 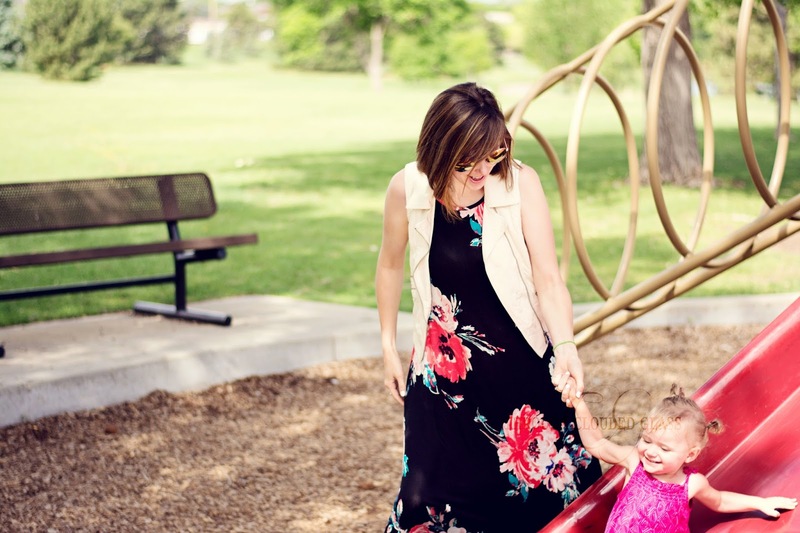 Your photographer will have more fun with your session too, which is great for building a relationship if you continue with the same photographer after your baby comes. Choose to love your photos. 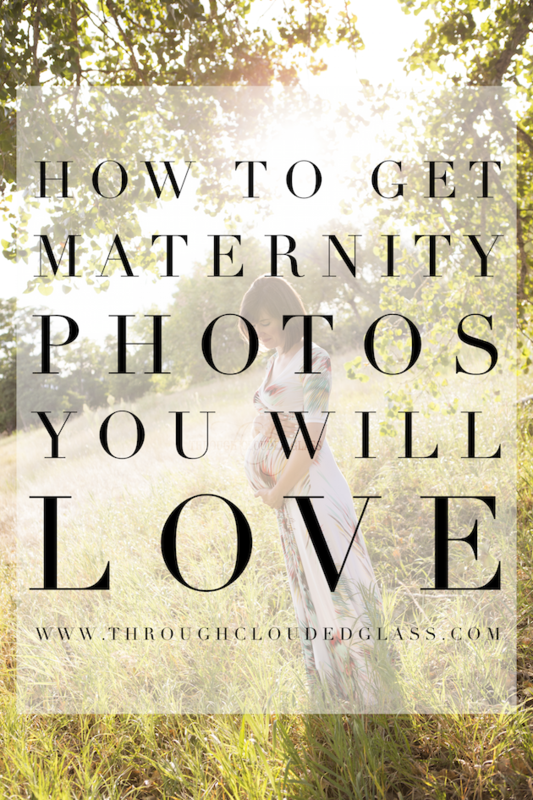 I think so often women struggle with negative internal talk about how they look in photos, and it can especially happen when someone is not entirely comfortable with their pregnant body. I'm not saying there are not truly bad pictures that should be trashed (like those ones at Thanksgiving that catch you mid-bite), but most photos, especially ones taken by a professional photographer, are not going to fall into that category. 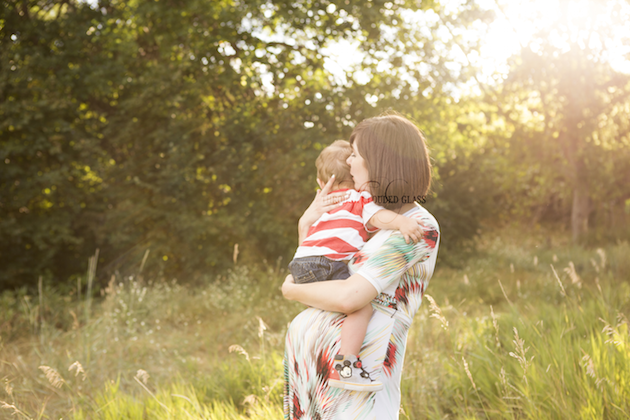 This is how you looked when you were carrying a precious new life - this is you and your baby in this moment. 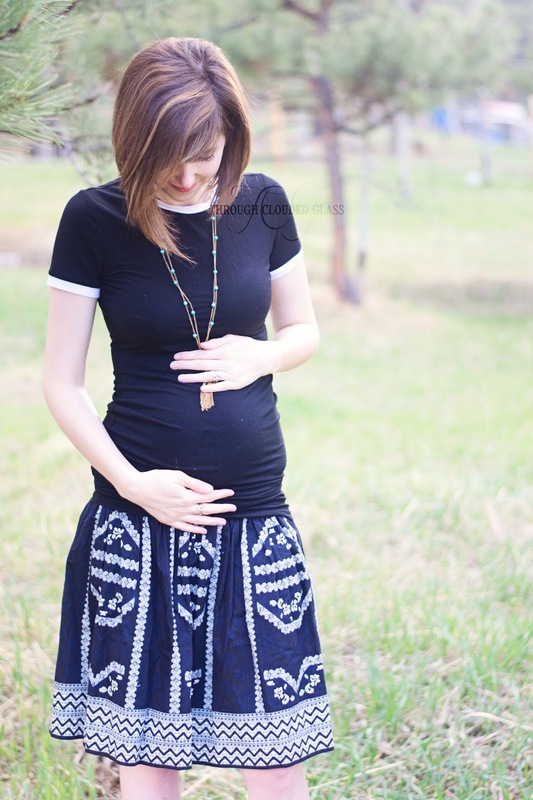 Pregnancy is a beautiful thing, and it's not something that can ever be repeated. Quiet that negative self-talk, recognize the beauty of this stage in your life that you have captured in these photos, and love them for that. What did I miss, guys? 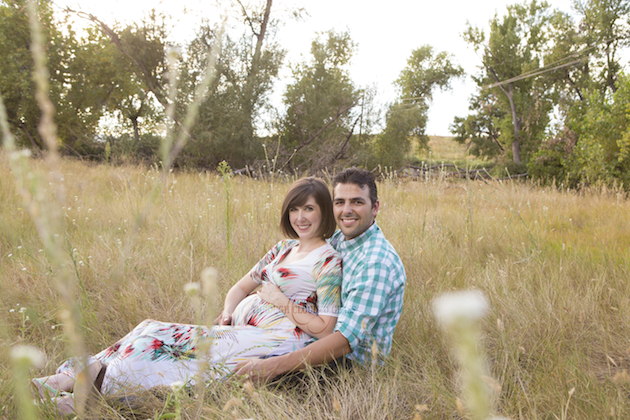 What are your best maternity (or family) photo session tips? 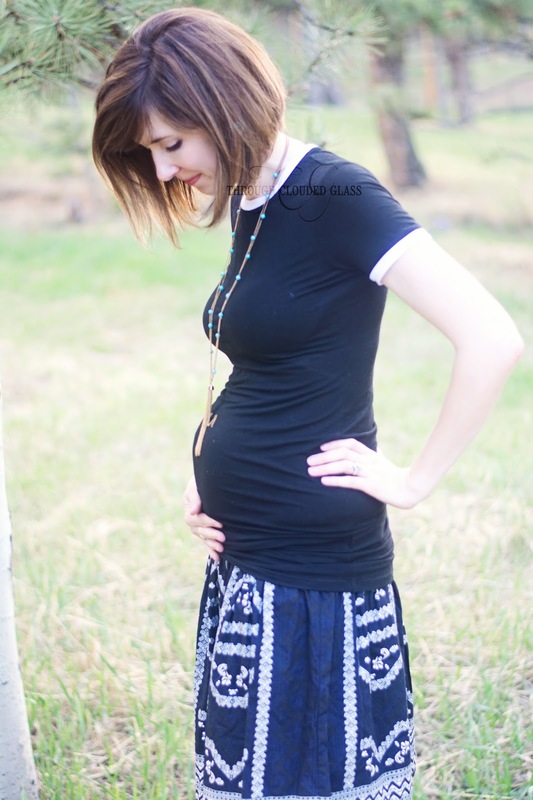 This might be my last pregnancy update (fingers crossed)! 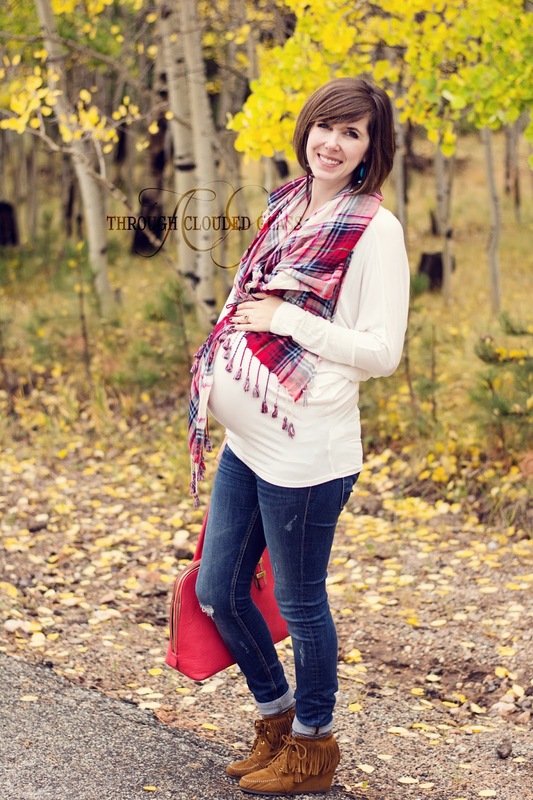 I am 38 weeks pregnant, and I have never made it past 39 weeks, so the next baby update could be a birth announcement! 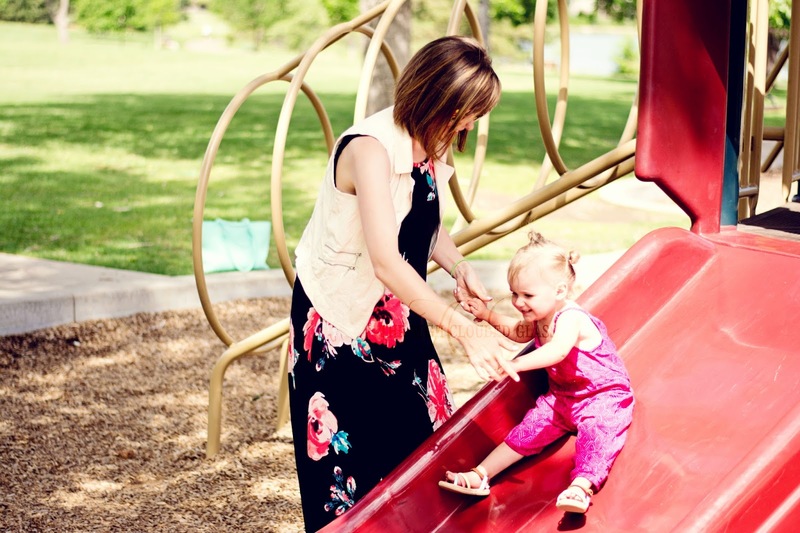 The week before last week was the most uncomfortable week that I have ever spent pregnant. Maybe it is because this is my fourth baby, but my body is taking this pregnancy a lot harder than my last three. The good news is that Baby has dropped! She was so high for a while there that it hurt to bend over at all, but I am finally able to tie my own shoes again with only reasonable effort. I think this may be part of why this pregnancy has been harder - my other three all started out low. Since she dropped last week, I have been feeling a lot more comfortable and energetic. 36 Weeks - We Are Having A Baby This Month! You know what I find annoying? The way they, whoever "they" are, decided to move back the marker for reaching "term" in a pregnancy. It used to be 36 weeks back when I was pregnant with Wyatt, and 37 weeks was full term. Now I think 37 weeks is term, and 38 weeks is full term? I don't know, I just know I have reached 36 weeks, which would mean I have reached term if this were four years ago! Another two weeks have gone by already! I took an un-intentional blog break over the last week and a half, and it was a good break - allowed me time to get things under control before this little girl arrives! I am now 34 weeks in this pregnancy, and Baby Girl definitely seems to be growing. Her kicks and movements are much stronger. As far as I can tell, she has stayed head-down, and her movements are so much more fun now there her feet are higher! I can feel little limbs and her bum through my belly, and she seems to have gotten a little braver and is interacting with my poking and prodding a little more. 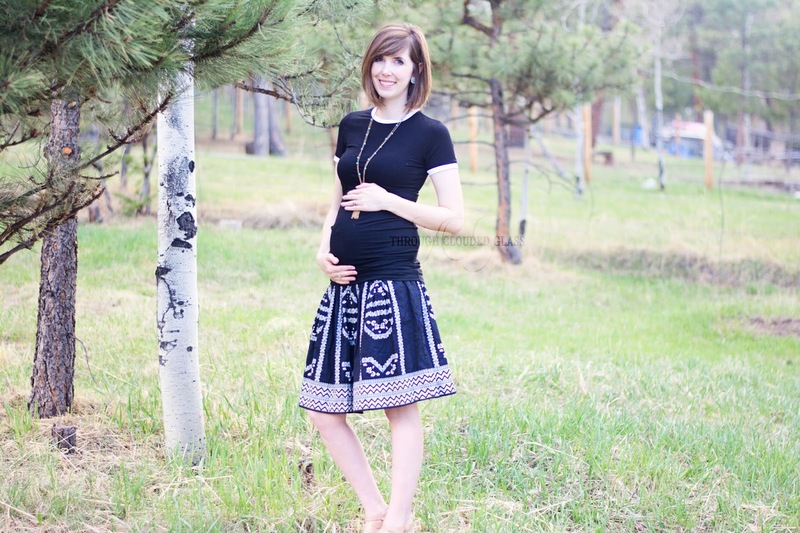 This week I am 32 weeks pregnant with our fourth baby! Only two months (or less) to go. I am feeling good this week, except for heartburn that is ramping up a little bit. Hopefully this means Baby Girl is growing some hair, but we will see! I have been having Braxton Hicks contractions here and there. 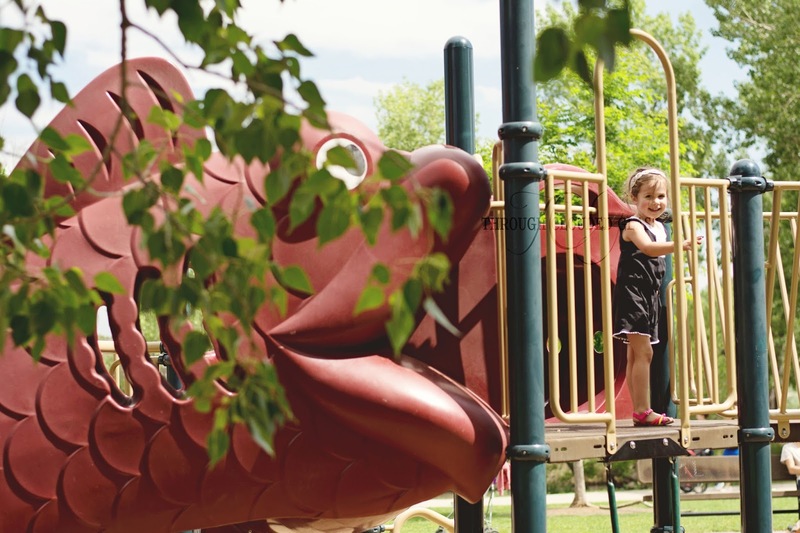 I feel like our little girl is doing somersaults in there, because ever since my last doctor's appointment her kicks have been all over the place.